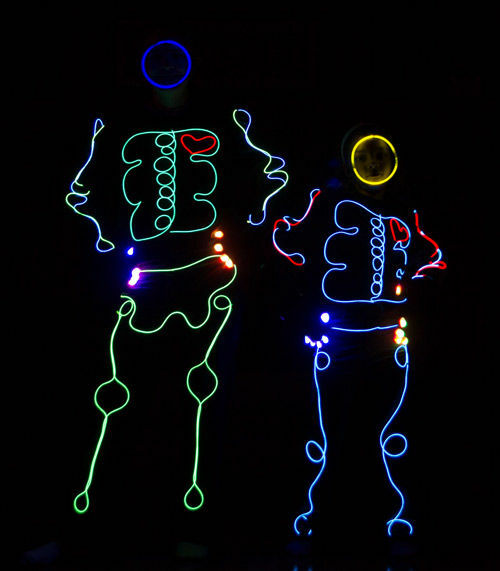 Wire Skeleton Costumes Are Electrifying « Adafruit Industries – Makers, hackers, artists, designers and engineers! 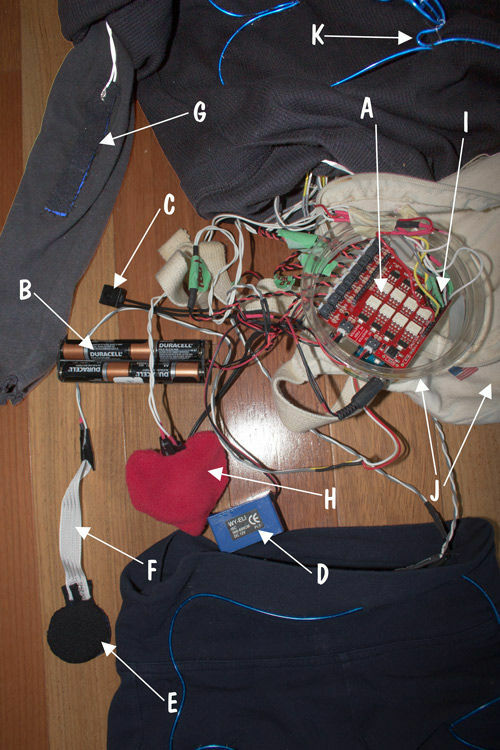 The EL wire was sewn to the shirt/pants using clear thread. Seven 6′ to 10′ lengths of wire were used to complete the 2 skeletons. Cutting and soldering the EL wire is finicky but very doable. In order to plug the EL wires into the EL Escudo Dos, you will need to terminate them with JST-PH connectors. When the whole suit went dark (which happened a few times) the cause was always an EL wire with a bad connection. If this happens to you, remove the EL wire one circuit at a time from the EL Escudo Dos to see which EL wire is the cause.